1970s Gold Medallion Necklace.Includes: One jumbo "1970's" gold necklace.Available Size: One Size Fits Most Adults.If you have the fever you're going to need some Bling! This gold 1970's medallion necklace will complement any 70's costume. Includes: One jumbo "1970's" gold necklace. Available Size: One Size Fits Most Adults. If you have the fever you're going to need some Bling! 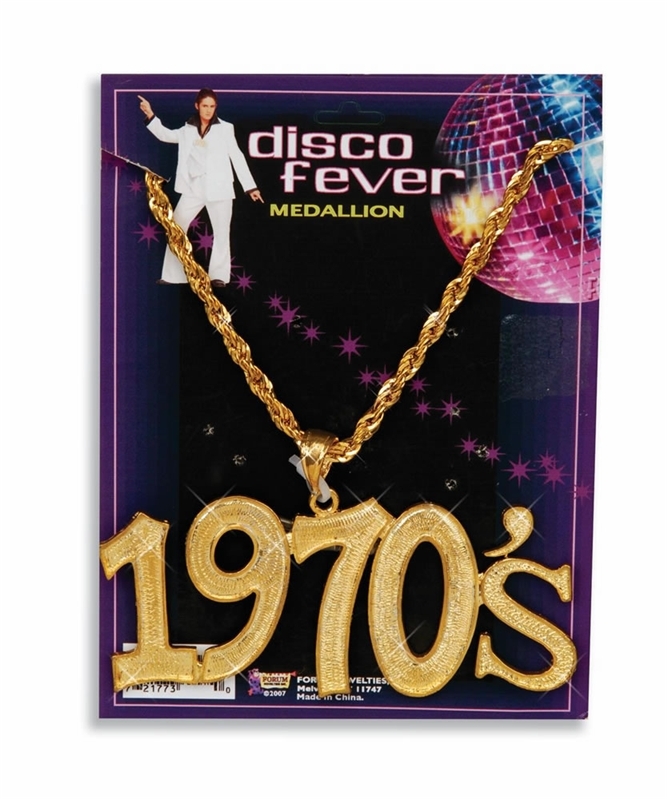 This gold 1970's medallion necklace will complement any 70's costume.